Contrary to what the headlines would have you believe, Americans are more content with their airport experience in 2017 than they have been in years past. Well, the security process at least. According to a new survey from Travel Leaders Group, 67.7 percent of U.S. travelers are satisfied with airport security while just 14.9 percent are unsatisfied. Only 63.6 percent of Americans were satisfied with the polarizing pre-boarding process last year while 17 percent expressed unhappiness with security measures. Americans are also cheering up when it comes to wait times, according to Travel Leaders Group's survey of more than 2,800 U.S. adults. 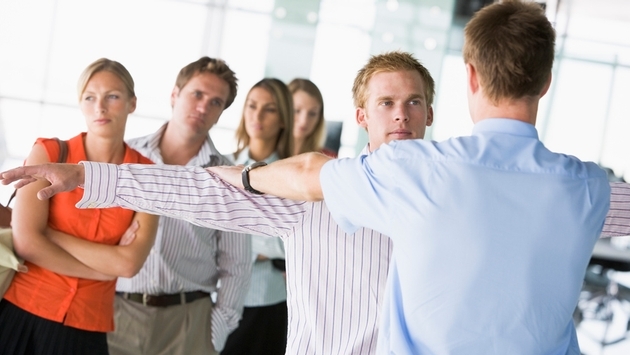 More than half (51.5 percent) of Americans are fine with the amount of time it takes to get through airport security. Meanwhile, just 4.7 percent are frustrated with how long it takes, down from 13.9 percent a year ago. In fact, more than one in five travelers (20.8 percent) admit they wouldn't change anything about today's TSA security screening. The improvements in sentiment can be partly attributed to more travelers enrolling in convenient trusted traveler programs like TSA PreCheck. Travel Leaders Group's study found that more Americans are enrolled in TSA PreCheck and Global Entry this year than compared to last. The survey shows that 59.1 percent of U.S. travelers feel expedited screenings make a significant difference in airport security wait times compared to just 44.3 percent in 2016. If there's one aspect of the security screening process Americans can agree on though it's being forced to remove their shoes. Nearly one-third (27.3 percent) of respondents said they would eliminate that step and 2017 marks the fourth consecutive year that Americans have singled out shoe removal as the most annoying measure. Doing away with the extensive pat-down (19.7 percent) and limits on carry-on liquids (19.2 percent) would also be welcome changes by nearly one in five fliers. "There were plenty of lessons to be learned from last year’s struggles with extremely long security lines. Based on our newly released survey data, increasing TSA checkpoint personnel and encouraging more travelers to enroll in TSA PreCheck or Global Entry have had the desired impact," said Travel Leaders Group CEO Ninan Chacko in a statement. "Balancing the safety and security of travelers with their comfort and convenience is not easy. But it appears the system is working better today than it was one year ago."